Envelopes Encino, CA : J-n-K Services Inc.
J-n-K Services, Inc. creates the highest quality Envelopes for your stationery and mailing needs. We are located in North Hollywood, right next to the city of Encino, and provide our services to local businesses, non-profit entities, schools as well as other companies across the country. Certified minority and 100% Woman-Owned Company, we are proud to have been in business since 1988 and are thankful for all of our loyal clients in Encino. Envelopes are a great way to set your company apart from the rest. 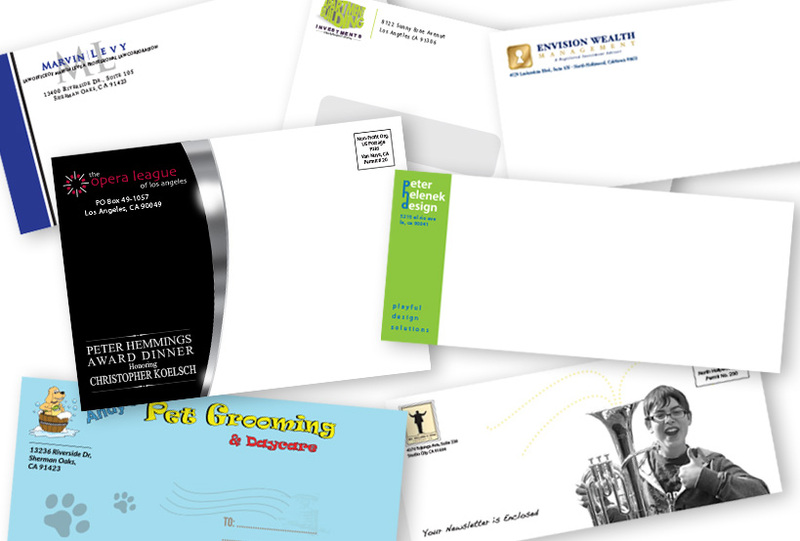 We can print from 1 color to full color on a multitude of envelope styles and sizes. Linen, Kraft, Metallic, and Translucent are some of the envelopes we can print on. We can print small and large quantities. With our fast turnarounds, you will be able to get your documents mailed out as soon as possible! Whether you need envelopes, stationery, stickers, labels, graphic design, printing, mailing services, or copies, we are here to help! We will assist you with any size project you have. Please contact us to see how we can take your company to the next level!